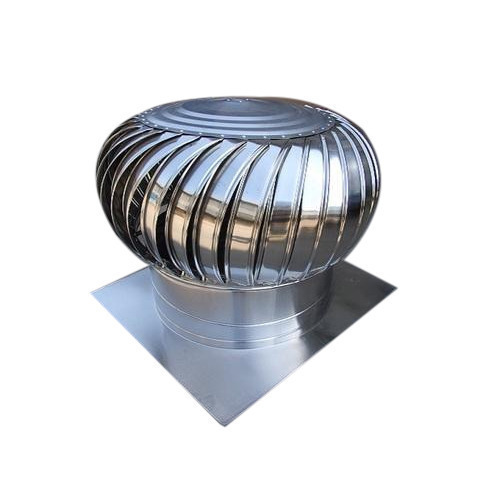 Turbo Ventilator is a product designed for the purpose of better ventilation of hot /polluted air and to make the premises free from any type of suffocation or humidity. It increases the air flow and decreases the temperature of the premises without the use of electricity or any kind of fuel and this is the reason we also call it “Natural Exhaust System”. Net Weight 24" 685 mm 360 mm 4 kgs (approx) 24" 685 mm 360 mm 5.25 kgs (approx) Light weight to ensure rotation at lowest win velocity. 0.30 mm (No Rerolled Material) 38 Airfoil profiled Blades to deflect water and Dust.